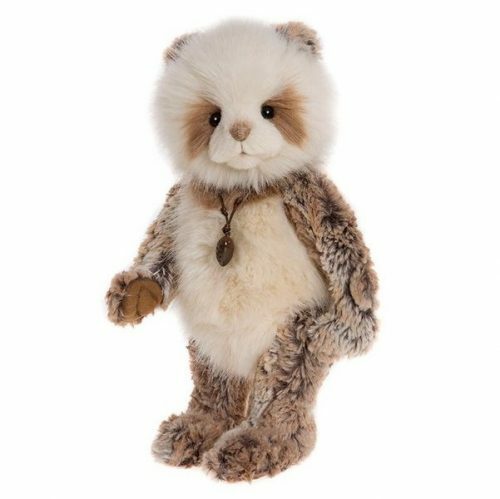 From the Charlie Bears 2017 Collection, the sweet Georgina is made of wonderfully soft short pile, beige-tipped, brown plush with a longer cream plush body and head. She has ultrasuede paw pads and can stand freely on her flat feet. With expressive black eyes, she wears a copper coloured, engraved heart pendant attached to her chest.